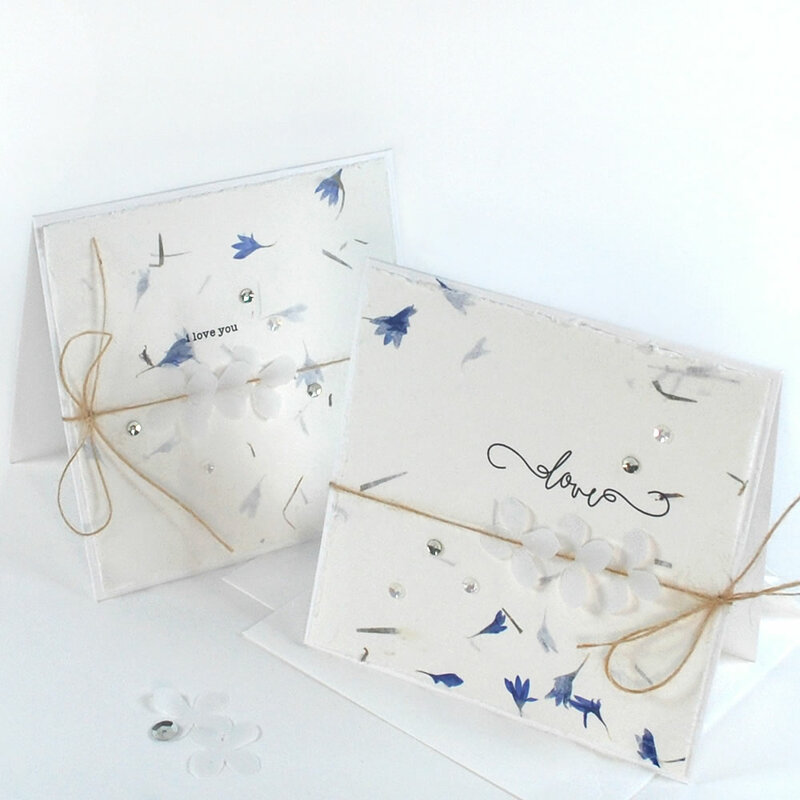 Today, I want to introduce you to a new series of Sentiments - 'Essentials Sentiments'. - designed around a single Sentiment. You can find them *here* and *here* in the boutique. 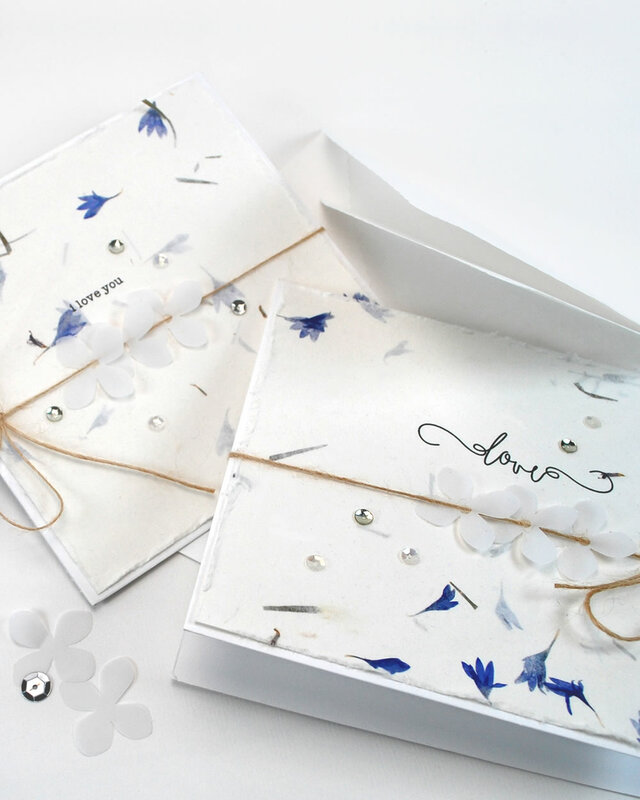 Sentiments: 'Essentials' Love You Sentiments printed onto handmade paper with flower petals. From John Lewis. Large Hydrangea Die: Martha Stewart. Kraft Twine: By May Arts. 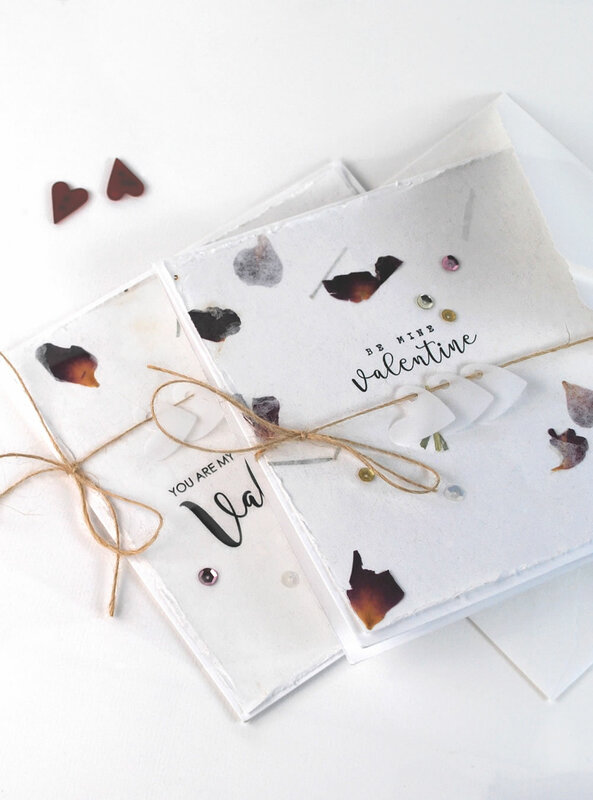 Sentiments: 'Essentials' Valentine Sentiments printed onto handmade paper with flower petals. From John Lewis.